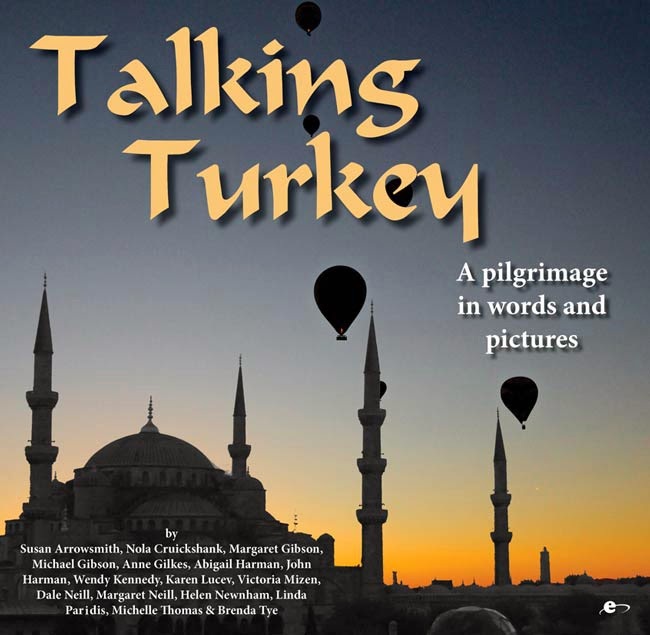 Valentine's Day seems just right to launch 'Talking Turkey - a Pilgrimage of Words and Pictures'. We all fell in love with Turkey - the history, the country and the Turkish men and women. Many of us continue to feel passionate about our photography or writing. Finally, it was ca labour of love collecting all the images and the stories and arranging them into some sort of romantically illogical order! You can order a copy of 'Talking Turkey' for just AU$25.00 or AU$29.50 posted. 'Talking Turkey' will be officially launched on Valentine's Day 14 Feb 2014 at the University of Western Australia. If you order and pay for your copy before 14 Feb you will receive an invite to the Champagne Launch at UWA. You'll also get to meet some of teh photographers and writers as well as author John Harman and master photographer, Dale Neill. To order your copy or to enquire contact Margaret margaret.n@ozemail.com.au or telephone 09 9430 6422.